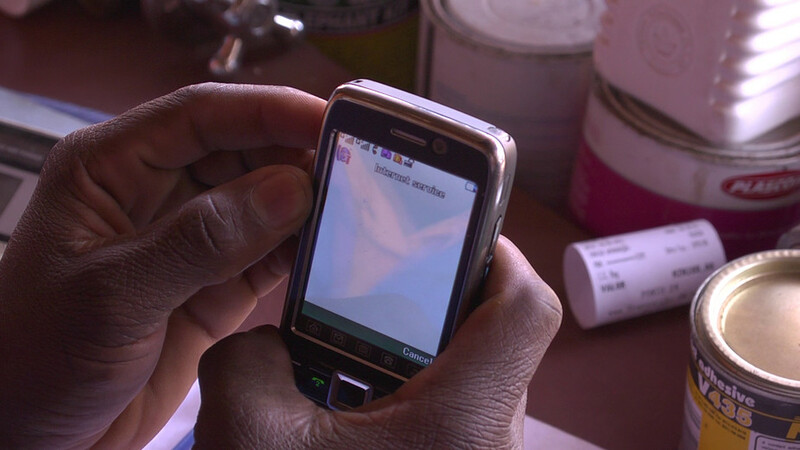 Most South Africans are dependent on unaffordable mobile-data to access the Internet. When most people think or speak about internet-freedom, they are often concerned with the right, for example, to say what you want online without censorship and without being subject to the chilling effects of surveillance. Constitutions generally – notably the US Constitution – protect exclusively or primarily `negative´ rights. South Africa’s constitution considers both `negative´ and `positive´ rights. Positive rights include, for example, the socio-economic rights to food and shelter. In its Internet Freedom Index Freedom House ranks South Africa as “free” alongside the UK, Argentina and Kenya. The ranking is largely because Freedom House weighs `negative´ freedoms above `positive´ ones. But how “free” is the internet in South Africa? For most, it is `positive´ internet-freedoms that may be more urgent. The South African Constitution in the Bill of Rights does not explicitly protect internet-freedom but section 16(1) states that everyone has the right to “freedom to receive or impart information or ideas”. This is a right for everyone and it is not just a freedom from interference – a “freedom from” – but also a “freedom to”: a right to be able to reach others and be reached by others. In this it follows Article 19 of the Universal Declaration of Human Rights. In his book Development as Freedom, Amartya Sen describes freedom as “our capability to lead the kind of lives we have reason to value”. In many ways, the internet is extending such capabilities. More people now go online daily than read a newspaper. They are able to read a much greater variety of voices than are seen in print or on television. And public services are offering improved responsiveness on social media. But we are also seeing a new development – instances where internet access is now a requirement. • The South African Broadcasting Corporation [SABC] has announced that it will no longer advertise its jobs in newspapers, directing job-seekers to its own website. Indications from government are that we are likely to see more such initiatives. The result will be that South Africans’ ability to lead the kind of lives they value will become increasingly dependent on the physical, procedural, economic and social networks that we call “the internet”. According to the All Media Products Survey (AMPS) of June 2015 fewer than half of South African adults had used the internet in the previous four weeks. More than half did not. When we asked a representative sample of non-users in South Africa in 2012 why they hadn’t gone online, the main reason was that they had no device to connect with (87%). The second reason was that they didn’t know how to use it (76%) and the third was that it was too expensive (60%). According to the survey, nine out of ten South Africans now use a mobile phone but only half of those now have access to smartphones. The most popular phone-brand in South Africa is still Nokia. Most of the models in use have limited or no ability to connect to the net. And because only the better off have access to fixed lines at home or at work, the majority of South Africans, when they do get online, are dependent on mobile networks. The International Telecommunications Union and the UN’s Educational, Scientific and Cultural Organisation have set a goal for affordable broadband internet-access. It is that entry level broadband should not cost more than 5% of average monthly income. Because of a flawed methodology they state in a 2015 annual report that South Africa falls well within that target. But digging into the figures shows how unaffordable the internet is for most South Africans. Statistics SA sets an upper bound poverty-line of R779 per month per person (in 2011 prices). Most – about 53% – of the South African population live on income below this, according to the last census. So this poverty-line is more or less the average income in the country. The poverty line adjusted for inflation to 2016 would be R1 031. Taking the international 5% of income goal gives a maximum budget of about R52 per month. On three major networks (which account for more than 95% of all mobile customers) 500MB – the amount of data they set as a minimum – of data costs between R85 and R105. So for the average South African 500MB per month is unaffordable. In fact mobile data prices would have to fall by about half to be affordable. And is 500MB per month enough? It is enough for a lot of instant messaging, or say about half an hour a day of browsing the web or using `Facebook´. But it is not enough to participate in otherwise free online-courses such as Kahn Academy that often rely heavily on video. This is affecting usage. The most popular online-activity is instant messaging using applications like whatsapp. But only one in five people download music online. Could mobile data be much cheaper in South Africa? Evidence suggests that the answer is yes. Research ICT Africa’s price index shows that South Africa’s data prices are over 20% more expensive than Nigeria, Uganda and Mozambique and three times as expensive as Kenya. It is also worth noting that the poor in South Africa pay much more for data than the better-off. If you have a fixed line in your home you can buy pre-paid data-bundles for R7 per GB or even less, a small fraction of what mobile network users pay. We could go further and ask if the internet could and should not only be cheaper but free? In some places and for some people it already is. That includes university-students, thanks to a network for tertiary institutions funded by the state. It also includes many residents in the metropole of Tshwane – including townships – where there are over 600 wifi hotspots offering 500MB of data per day at fast speeds for free. Just as South African municipalities give poor households a minimum amount of 600 litres of water and 50kwh of electricity for free, they could extend this model to the internet. As lawyers sometimes say, the right to freedom of expression is an ‘enabling right’ —- a right that enables people to access or defend other rights. In the same way the internet itself is now an enabling technology that is increasingly required to participate in social, political and economic life. For many or most South Africans whether or not the Films and Publications Board interferes with their right to view video-material online does not affect ‘their capability to lead the lives they value’ because they cannot afford to access video or audio content online. At present, defending ‘negative’ internet-rights is protecting the rights of the few. We need to move to demanding the ‘positive right’ of affordable access if we want internet-freedom for all. *Indra de Lanerolle, Visiting Researcher, Network Society Lab, Journalism and Media Programme, University of the Witwatersrand.